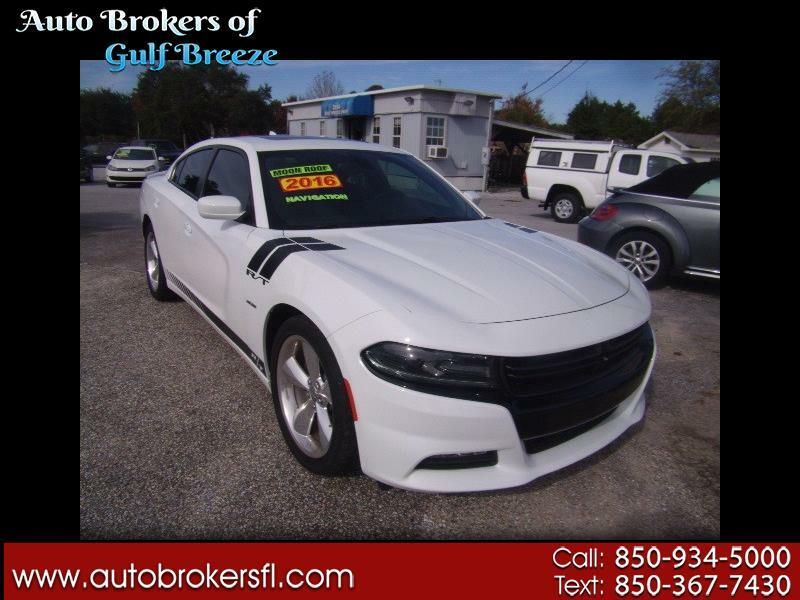 Exciting 2016 Dodge Charger R/T Road and track with V-8 Hemi power and the remainder of the factory warranty. Well equipped with navigation, power sunroof, steering wheel mounted controls, paddle shifters, power seat, power windows, power mirrors, power locks and keyless entry. This really is a must see!! TEXT: 850-367-7430 OR CALL: 850-934-5000.